A detailed conceptual and mathematical description of water flow and solute transport processes in the vadose zone will be covered during the first part of the course. Hands-on computer sessions will then provide participants an opportunity to become familiar with the windows-based HYDRUS computer software packages, including several additional modules, such as ROSETTA, HP1, UNSATCHEM, and/or the Wetlands module. Emphasis will be on preparation of input data for a variety of one- and multi-dimensional applications. Selected advanced HYDRUS topics will be covered during the second part of the course. The course begins with a detailed conceptual and mathematical description of water flow and solute transport processes in the vadose zone, followed by an brief overview of the use of finite element techniques for solving the governing flow and transport equations. Special attention is given to the highly nonlinear nature of the governing flow equation. Alternative methods for describing and modeling the hydraulic functions of unsaturated porous media are also described. 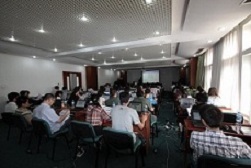 "Hands-on" computer sessions will provide participants an opportunity to become familiar with the Windows-based HYDRUS-1D and HYDRUS (2D/3D) software packages. Emphasis will be on the preparation of input data for a variety of applications, including flow and transport in a vadose zone, subsurface drip irrigation, flow and transport to a tile drain, and two-dimensional leachate migration from a landfill through the unsaturated zone into groundwater. Calibration will be discussed and demonstrated by means of a one-dimensional inverse problem. The fee for the short course is $1045 by 4PM Mountain Daylight Time, Februray 29, 2012 ($1245 after Februray 29). You will be invoiced for the tuition balance. The fee covers instruction, course notes, refreshments, and continuing education units. Lodging and meals are not covered. Payment in full must be received prior to the beginning of the course. The registration fee may be paid by check, VISA, MasterCard, AMEX, Discover or purchase order (US Only). A maximum of 20 applicants will be able to attend the course due to space limitations. If cancellation is made before Februray 29, 2012, tuition will be refunded except for the $100 deposit. Cancellations made after that date will forfeit a $150 processing fee in addition to the $100 deposit. In case of cancellation, the right to course material is forfeited. Substitutions are permitted at any time prior to the start of the course. Please be advised that if the program is cancelled due to insufficient enrollment, Colorado School of Mines will return all course fees, but will not be liable for any other expenses incurred by the prospective attendees. The HYDRUS course will precede a Winter School, a set of lectures on Advanced Topics in HYDROLOGY held from February 6th to 10th. While a nominal fee will be charged for the HYDRUS course, the remaining lectures will be free. 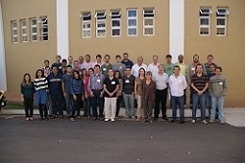 The short course is organized by the Universidade Estudal de Santa Cruz, UESC. The instructor of the shortcourse is Prof. Rien van Genuchten, Department of Mechanical Engineering, Federal University of Rio de Janeiro, RJ, Brazil, one of the main developers of the HYDRUS models and Dr. Elizabeth May Pontedeiro. 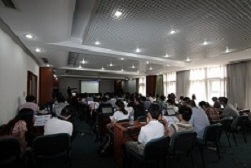 Hands-on computer sessions will provide participants an opportunity to become familiar with the windows-based HYDRUS computer software packages. Information will be provided also about several additional modules, such as ROSETTA, RETC, STANMOD, etc. 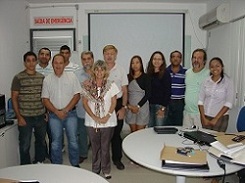 The short course was organized by the the Graduate Program of Water Resources in Agricultural Systems, Universidade Federal de Lavras, UFLA, May 30-June 1, 2012. Hands-on computer sessions provided participants an opportunity to become familiar with the windows-based HYDRUS and STANMOD computer software packages. Information was provided also about several additional codes, such as ROSETTA, RETC, and STANMOD. For more information, please contact Prof. Luiz Antonio Lima lalima@deg.ufla.br, Prof. Rien van Genuchten, rvangenuchten@hotmail.com, or Dr. Betty May Pontedeiro, bettinadulley@hotmail.com. Course Details. 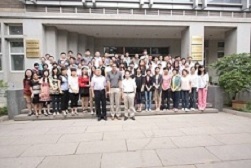 The short course is organized by the Research Center for Eco-Environmental Sciences, Chinese Academy of Science, Beijing, Peoples Republic of China. The instructor of the shortcourse is Dr. Jirka Šimůnek, Dept. of Environmental Sciences, University of California, Riverside (CA), the main developer of the HYDRUS models. 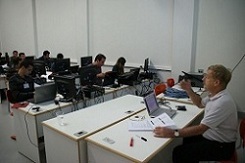 Hands-on computer sessions will provide participants an opportunity to become familiar with the windows-based HYDRUS computer software packages. Information will be provided also about several additional modules, such as ROSETTA, HP1, UNSATCHEM, and/or the Wetlands modules. Latest developments with respect to biogeochemical modeling with HP1 (HYDRUS-PHREEQC). HP123 - biogeochemical transport in one-, two-, and three-dimensional domains. For more information, please contact Dr. Weiping Chen, wpchen@rcees.ac.cn or Prof. Jirka Simunek jiri.simunek@ucr.edu. For more information, contact Rony Manuel Portilla.